Whether it is because of the splendour of temples, the profoundness of religious culture, the refreshing view of beaches, or the exoticism of folk customs, Thailand just has this unique charm. 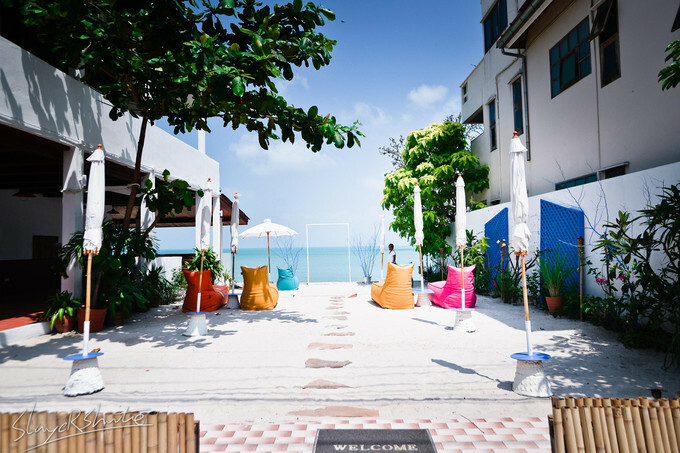 The hospitality, warm-hearted Thai-styled smile, and meticulously services would make tourists feel at home. 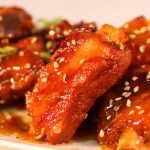 Various interesting Thai snacks and fresh and yet cheap seafood are another reasons why Thailand is so popular, let alone those fashionable-retro-styled clothes. You can enjoy your vacation in your own way in this magic country – Thailand. In this article, I am going talk about Samui Island. Samui Island is the third largest island in Thailand surrounded by around 80 small isles. The coconut-related industry is one of the main industries here; hence Samui Island is also known as “the island of coconut forest”. 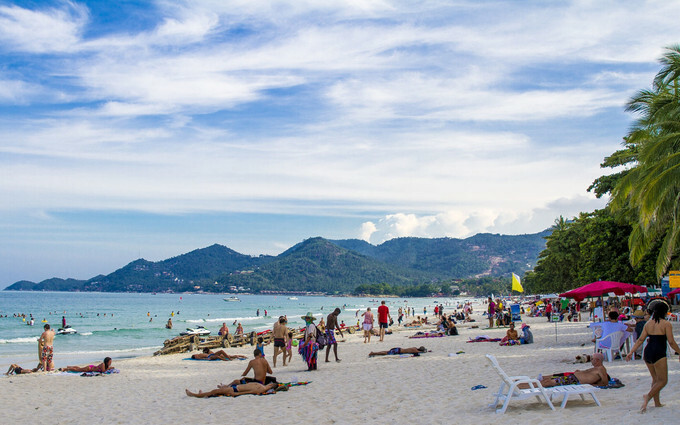 Compared with Phuket Island where the tourism industry is well-established, Samui Island is more primitive and attracted numerous tourists from all over the world. There are many beaches, marvelous temples, forests and falls. It would be also great to travel to nearby isles to enjoy the primitive tropical views. Located in the east part of Samui Island, it is the longest and the most popular beach on the island. The sand is small, soft and clean; the water here is clear and clean. Overall, the view is stunning. There are many bars, restaurants, souvenir shops and diving schools here. You could also find banks and hospitals. The nightlife here is abundant. You would find what you want here. There are also many on-water facilities and it is also a great place for snorkeling. Around one third of tourists choose to stay here. Although there are many hotels here, the price is a little bit higher than that of other beaches. Hat Lamai Beach is located in the south part of the island and is the second largest beach here. Although it is only around 3 miles, it is more primitive. You can enjoy swimming in the quite clear water here. It is also a good place to experience all kinds of on-water activities. 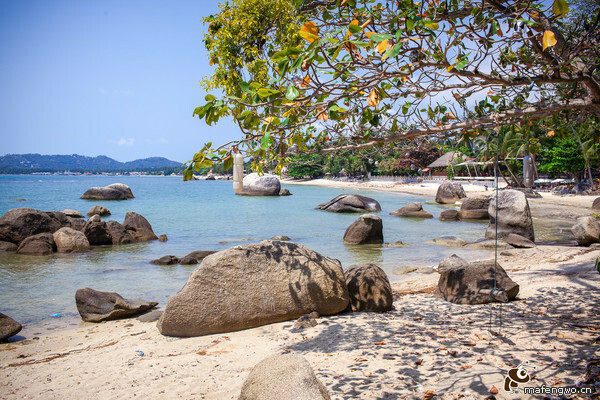 Compared with Chaweng beach, the nearby area here is quite quiet which suitable vacation place is for those who enjoy serenity or those who seek for honeymoon. With the same price of the hotel room in Chaweng beach, the room here is a slightly larger. Around one sixth tourists choose to stay here. The beach is covered by a lot of coconut trees and is quieter than Chaweng beach. Although it is just as popular as Chaweng beach, the price of the hotel is slightly lower than that of the previous beach. 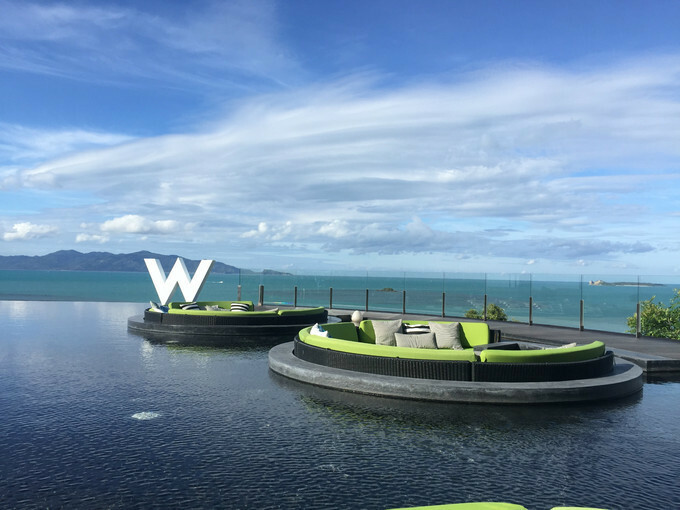 Located in the north part of Samui Island and next to BoPhut Beach, the place between those two beaches is the best place to enjoy the sunset. The sand here is tea green. It is a great place to surf. You could enjoy the view of another island across the sea or enjoy the sunset. There are more locals here than tourists. Mae Nam Pier is also the main pier here and an important hub to other offshore islands. There are about 10 percent of tourists who choose to stay here. The cost performance here is quite high. It is quite convenient to travel to some offshore islands. Although the sand and the sea do not have as beautiful views as those of Chaweng beach, it is a great place to have a quiet vacation, swimming and sailing boats. Located in the north part of Samui Island, it is the oldest settlement point. It is far away from the noise. There are few tourists coming here. Although the sand here is rough and big, the view is quite stunning. There are about 10 percent of tourists who choose to stay here. It is really quiet. The hotel here are not as fancy as that of previous beaches; hence the price is relatively low and is quite suitable for backpackers. In addition, there are three to four piers here. If you plan to travel to offshore islands, then it would be a great idea to stay here. There are many great views on the trip. The trip is about 50 miles. You could spend a day to go round the island. Leave in the morning, and pause for lunch at noon, and then have a cup of coffee or juice for afternoon tea and enjoy the view or read a book or have a massage; you could start the trip after the hottest period of the day (one to two hours after the midday). You could simply wander around the local market and experience the local life here. 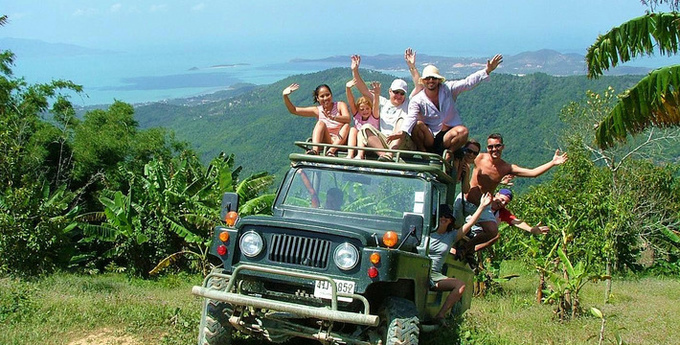 There is another way to travel around the island – a travel package called 4 x 4 Samui Island one-day trip. It is the most popular programs on Samui Island. Not only can you have a rather good understanding of the island, you could also go crazy on jeep. The jeep has been modified, so it is quite exciting to have a trip this way. However, please do book the trip on the legal channel so the safety would be maximized. The elder and the kid can also join this program. The package includes animal performance show and riding elephants, where targets the kid group. A jeep can take 8 to 9 persons. And there is a large brim at the top of the back of the jeep, so you could enjoy the view along the way without being exposed to the sunshine. Of course you could also choose to put it down to enjoy the sunshine. More information about offshore islands would be introduced in the next article.